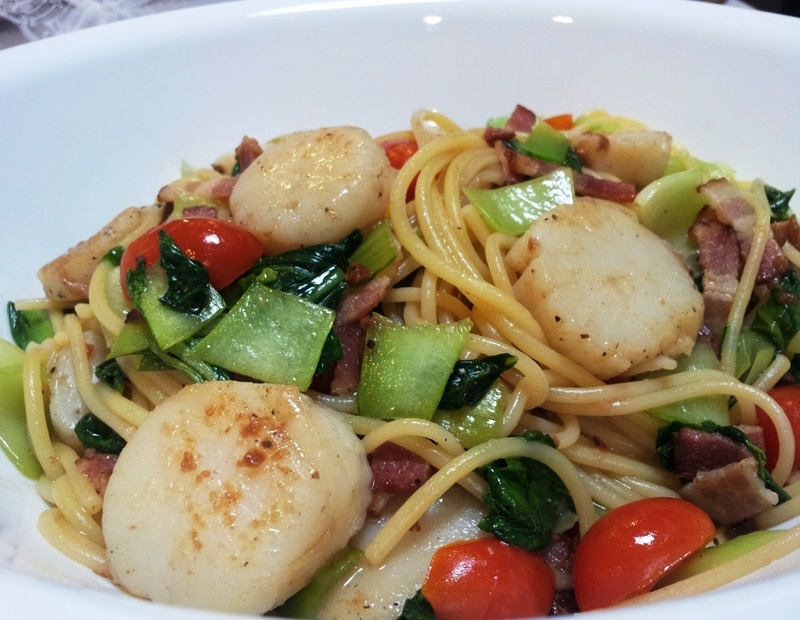 Stir fried Scallops with baby Bak-Choy pasta. Hub and I went to Kuala Selangor over the weekend and bought some really big fat frozen scallops. Kuala Selangor is a little fishing town about one hour plus away from Kuala Lumpur (famous for enjoying fresh seafood at lower price). 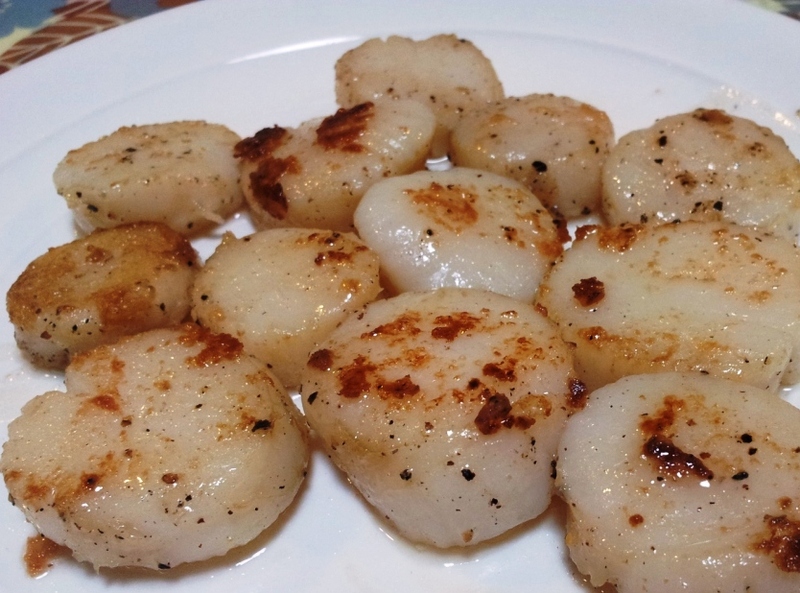 Sauté the scallops on high heat and remember to keep them apart (no soup formed. Or you’ll have steam scallops in the end). 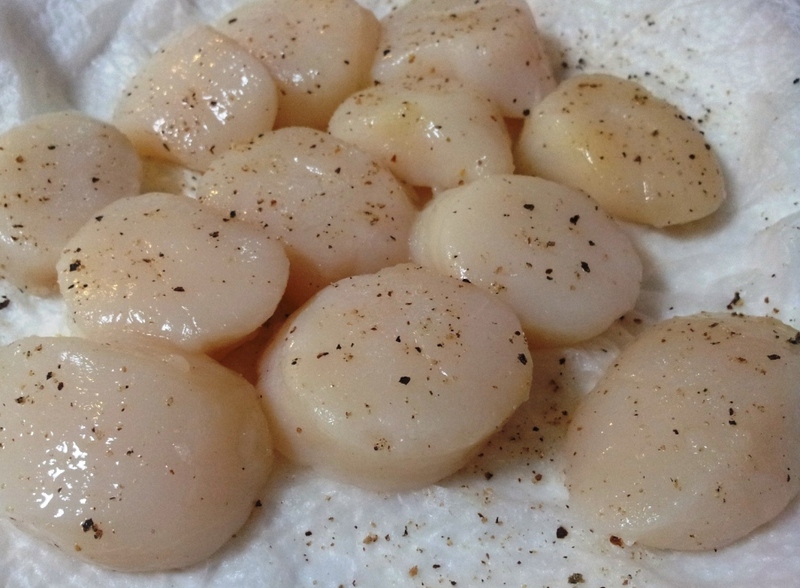 It’s always better to have scallops slightly undercooked. So, I manage them by pressing on them with the spoon. I like it cooked till it feels like medium rare beef bounce. Then, I’ll lift it and set it aside. Next, sauté the bacon till you see the oil release from its fat. 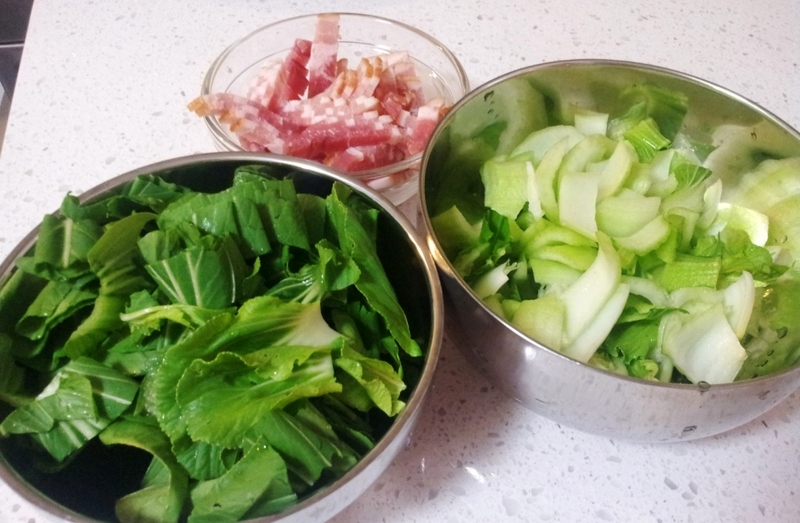 Put in the bak-choy stem and allow it to stir fry a bit first before putting in the leaves. 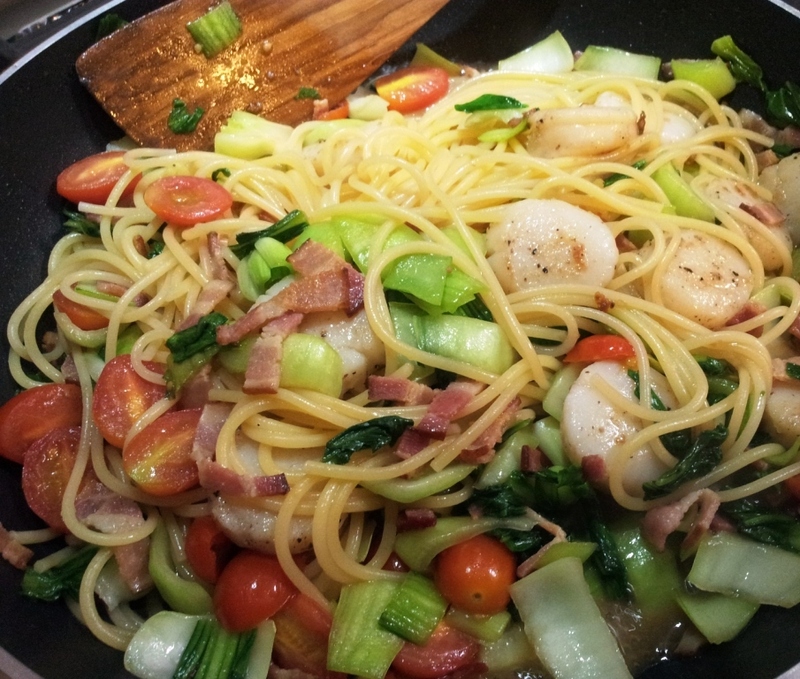 Add the cherry tomatoes, abalone sauce and Marsala wine (You can just use any white wine but I love the sweetness of Marsala with scallops). Allow this to simmer for 2-3 minutes. Add the pasta and Scallop. Simmer for another 2-3 minutes and it’s done. Dinner is serve. Chomp chomp. I had it with a glass of chilled marsala. 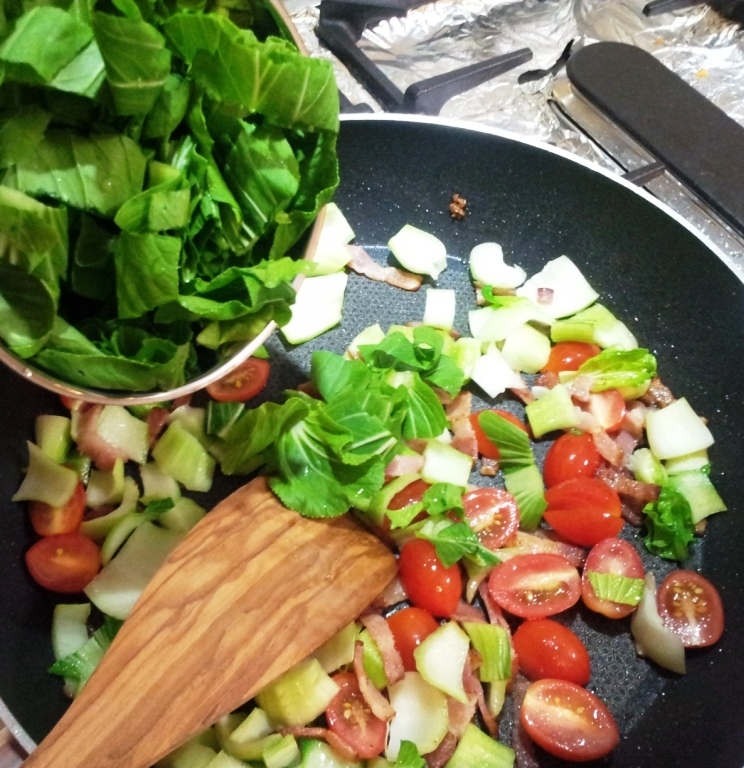 Simple healthy meal with tons of greens. Yay ! Toast in the shallots and onions – fry till brown. Next, the tuna, carrots and corn goes in and stir till soft. Once everything mixes together, pour the whiskey follow by the cream. 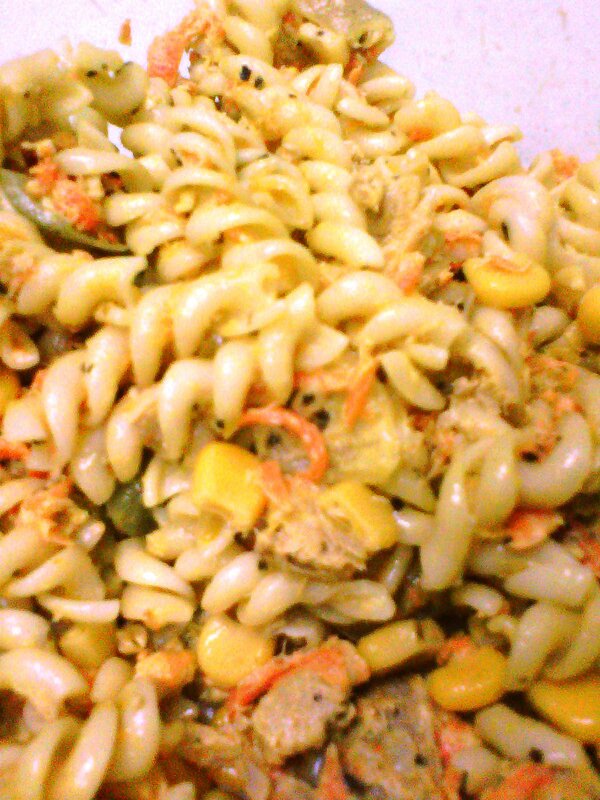 Stir in the cooked spiral pasta. Turn off the heat. Sprinkle with Basil. And add salt and pepper to taste. Personally, I love it cold. Leave it in the fridge and you can take a bit snack here and there whenever you like. Also works well as a side dish for meats.